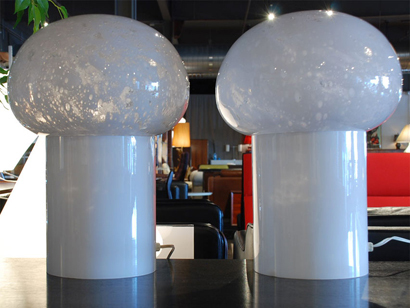 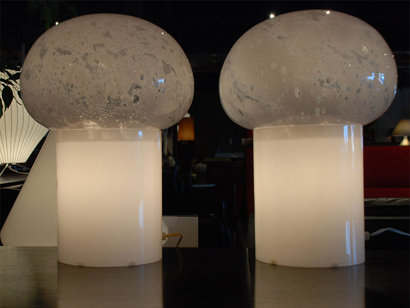 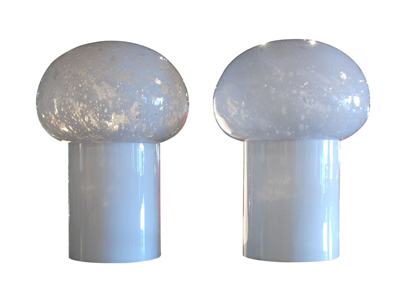 These sculptural table lamps comprise white glass cylinders and removable handblown Murano glass globes whose textured pattern gives a beautiful light. 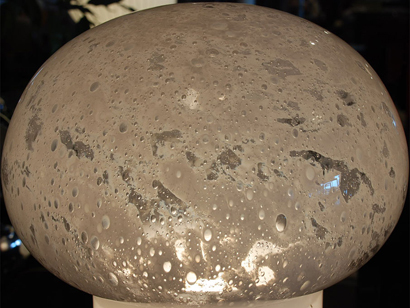 Materials/Techniques: Murano Glass. 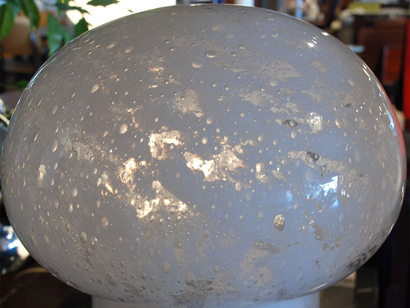 Hand-blown glass globe resting on white glass base.